“Popular smartphone app” and “health insurance plan” are two phrases that don’t normally go well together, but the team behind the motivational fitness app Pact (formerly Gym-Pact) hope to combine the two by launching Pact Health, an employer health plan. 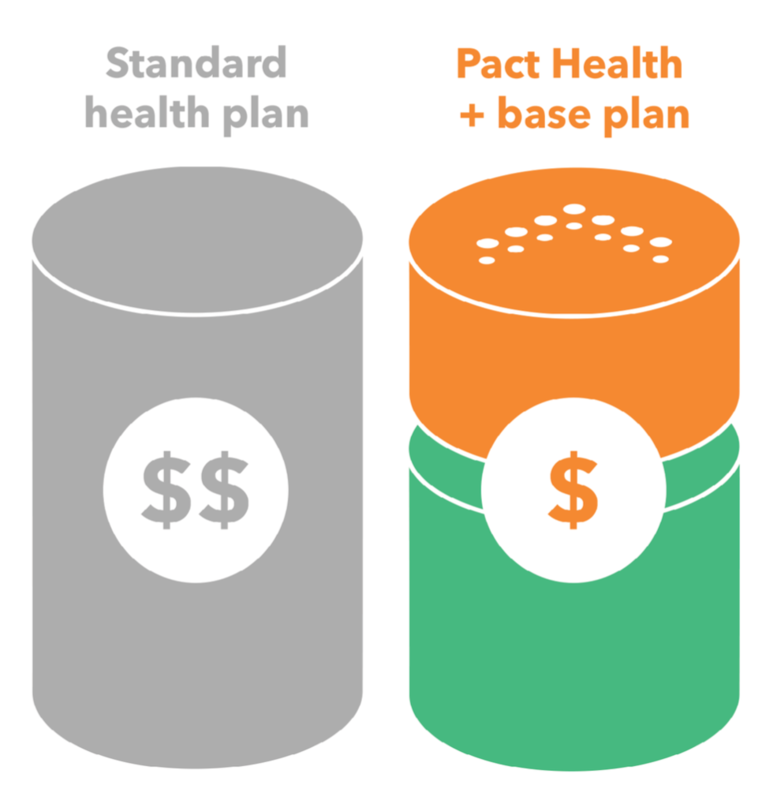 By translating its unique system of cash rewards/punishments to employee health deductibles, Pact Health offers savings and flexibility to both employees and employers in exchange for healthy living. Pact Health stands out from the crowd of health incentive programs by offering a health plan that uniquely layers on top of higher deductible insurance plans to encourage active lifestyles. For the uninitiated, the basic premise for the consumer-facing Pact App is simple. You commit to a certain number of active days per week (“the pact”), and then pay a penalty for every day that you fall short of your pact. Complete your pact, and you get to profit from the penalties paid by other people. 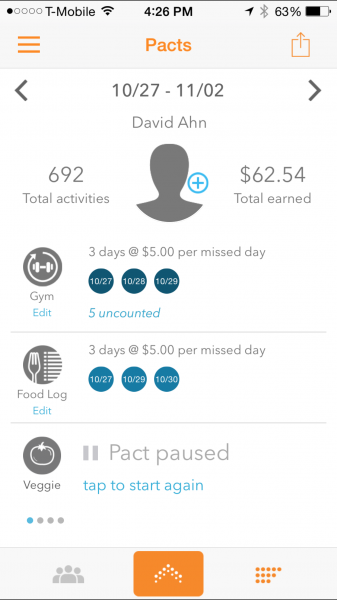 Unlike other motivational health apps utilizing social networking and badges, Pact hits you where it hurts: your wallet. There are multiple ways to count a workout (10,000 steps on a smartphone or popular activity trackers like Jawbone/Fitbit, 30 minutes of active motion, or a GPS check-in at a local gym). I’ve been using the app for almost 3 years, and have found its model quite effective (and have made about $175 during this time by living healthy). 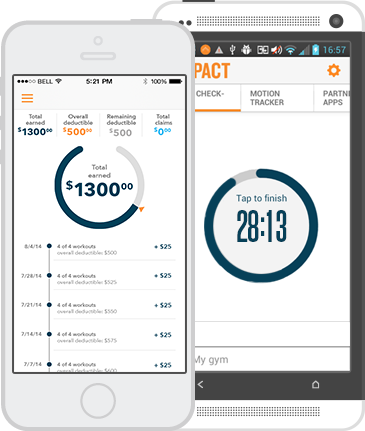 Similar to their consumer-facing app, Pact Health allows users to gain money in the form of a lower deductible for every active day that they register with a GPS check-in, phone motion tracker, or activity tracker via the Pact Health app. Significantly improving on their consumer offering, Pact Health allows a 1:1 ratio of reward to punishment. Each workout reduces your deductible by $5, just as each day you fall short of your pact raises it by $5. On their website, Pact Health promises that active users can lower their annual deductible by as much as $1300. 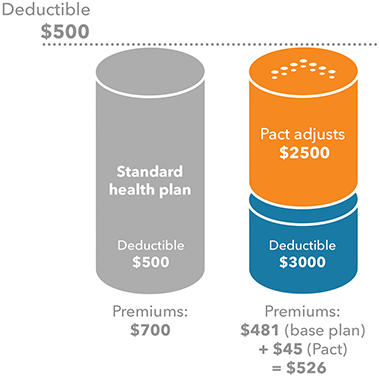 On the employer side, Pact Health offers a variable-deductible health plan that layers on top of higher deductible plans. Active employees who regularly fulfill their pacts pay a lower deductible while inactive employees pay a higher deductible. This variable deductible saves money for employers while providing the improved coverage of high deductible plans at a low deductible price to their active employees. I’ve always been impressed with the Pact team because, in me, they have achieved the holy grail of motivating a sedentary person to live an active lifestyle for an extended time period (2.75 years and counting). With many existing employer health incentive programs, the lure of possible gift card rewards fades over time. Also, such programs often rely heavily on gamification elements like badges/quizzes or social networking, which also often lose “stickiness” after a couple months. Pact Healt sticks to a simple proposition: save money by making active lifestyle decisions. 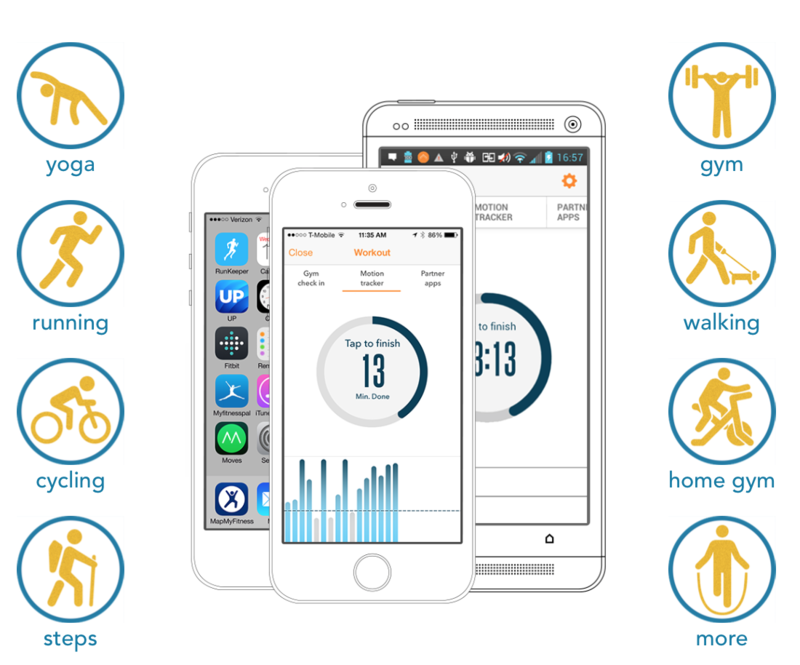 And as CEO and co-founder Yifan Zhang was quick to remind me, Pact rewards ANY effort towards active/healthy living. With multiple options for registering an active day, people of all levels of fitness and at all stages of health can still meet their pact. For example, the Pact app does not distinguish between an intense weight-lifting session or a slow walk on the treadmill. By layering on top of employer health insurance plans, Pact Health hopes to promote such healthy decisions on a wider scale. The goal is to reduce healthcare costs for both employees and employers. I can’t wait for my employer to sign up.